A core feature of Business Process Management is Workflow Automation. 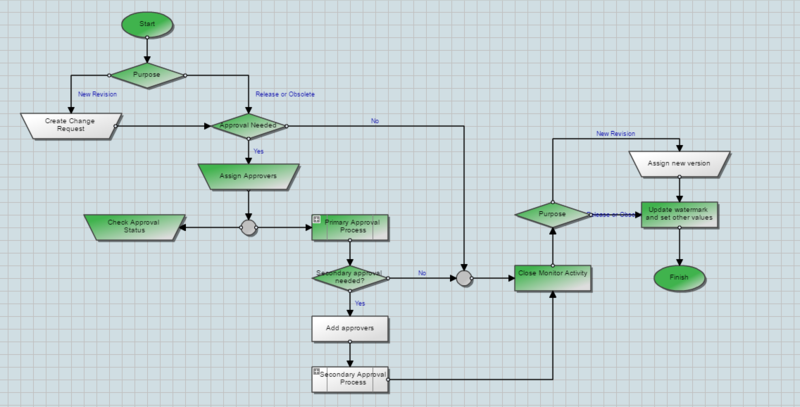 This feature enables companies to describe their business process in a block diagram view, definding the flows, the roles, the activities, and business rules. 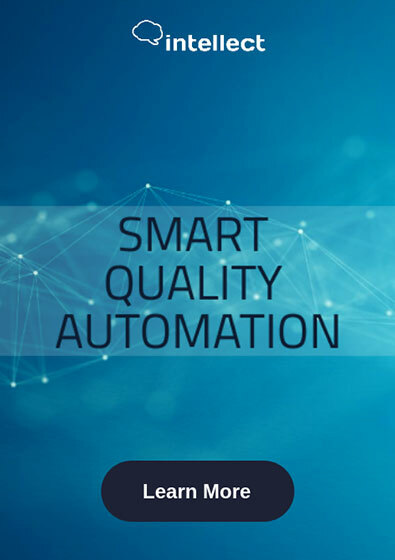 And once defined, the Business Process Management (BPM) Platform can automate and execute this workflow, notifying users when they are required to complete a task, providing them the information they need in context to complete the work, reminding them if they are late and keeping them up to date on the overall process status. Managers can oversee the process in real time and be notified of any delays, audit the history and decisions that were made and ensure that everyone is following the company standard. The diagram above represents a document control workflow indicating the path the document followed, colored in green, to completion. Most of the core processes in Quality Management Systems require workflow. Document control is an obvious process where there are mutliple people collaborating together on the authoring, reviewing and approving of a document. Workflow Modeling capability enables you to model your company's document control process, specifying all the roles, steps, rules, approvals, and decisions. They system will then execute the workflow everytime a new document is created or is selected to be updated. One of the key advantages of this capability, as can be seen above, is a realtime view on the status of each document: where is it, who has it, how long has someone been reviewing it, was it approved or rejected, an so on. A detailed and complete audit trail provides all the historical information necessary to pass any inspection or audit and to meet compliance with all ISO and 21 CFR standards. In addition, the workflow model is defined by the company to meet their unique process needs. If the process changes, the modeler allows the company to very quickly update the workflow model so that it reflects the new process. No programming or speciall skill sets are required. Just an understanding of the company process and simple drag and drop. Workflow capability is a very powerful feature to have in your QMS system. Not only will it help you enforce your own unique company process, it also ensures everyone is following the right process, with full auditable history and visibility. Do you have a Workflow Modeling feature in your QMS? Sign up today for a demo to see the power of Workflow + QMS.